Smooth, Sleek barrels are color coded with the ink color. 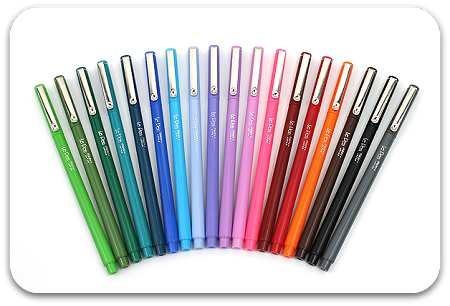 Micro fine 0.3mm plastic writing point with click-fit caps. Pocket clip on cap. 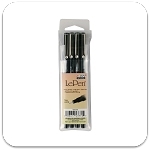 Popular for writing, scrap booking, design, art classes and anywhere a feather light writing or drawing pen is desired.